There are (and probably always will be) two sewing skills that I will struggle with for my entire sewing career. I may have become much better at executing this skills, however, I don’t think I will ever get over the stress associated with them. What are these most painful parts of my sewing? Well, they are zippers and buttonholes. I don’t like them. I don’t enjoy them. And they most definitely are something that I wish I could avoid. However, I can’t and I have come to a tentative peace agreement with them, and am working hard to gain more confidence. So in a step to get over my fear, I have decided to create a whole post on one of these areas….the buttonhole. 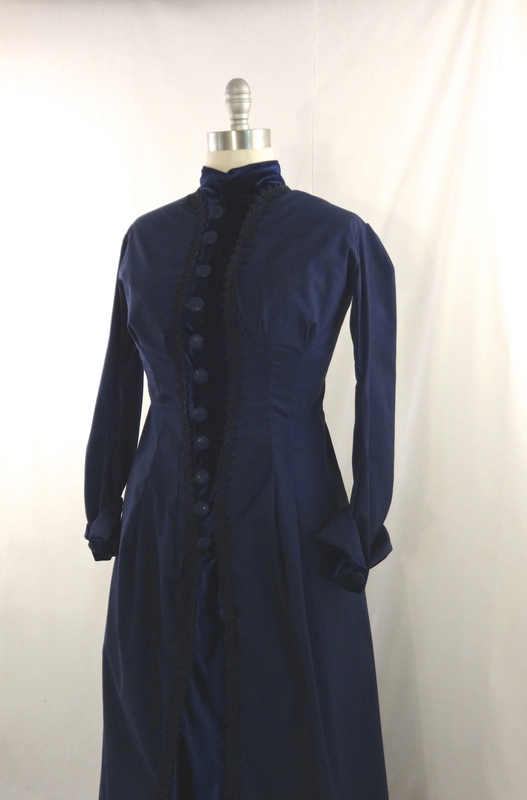 Last year, I put my newly found confidence to work when I created an 1880’s blue gown which featured velvet buttons down the front. I think I sweated through that process for a good 40 minutes! Despite my short comings, I still love the look of buttons in different shapes and sizes! 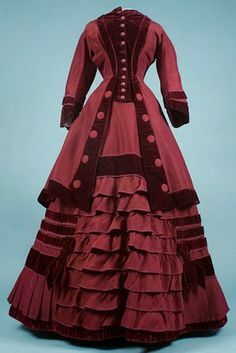 I love the graduated size of the buttons down the front of this 1860’s gown. I can’t imagine the time that went in to creating this front panel with all the buttons. I can’t quite tell if the buttons are just sewn on, or there they are poking out through buttonholes. 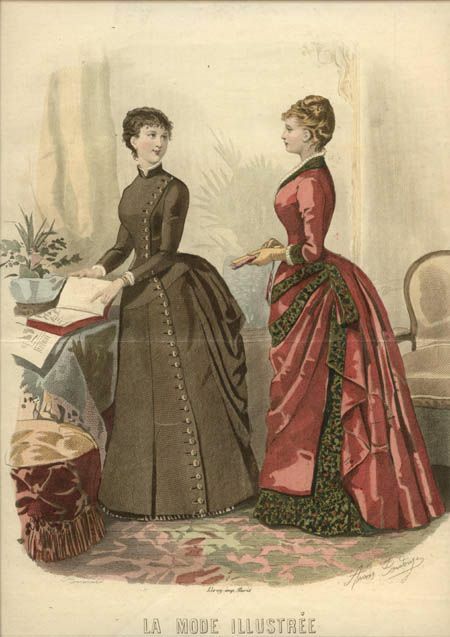 Either way, this 1870’s gown is awesome! 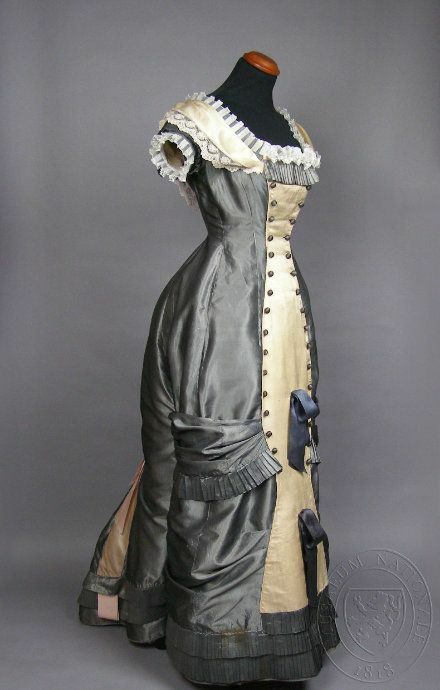 Another example of various button sizes on the bottom half of this 1880’s gown. I adore the brown gown with the buttons that go all the way down one side. 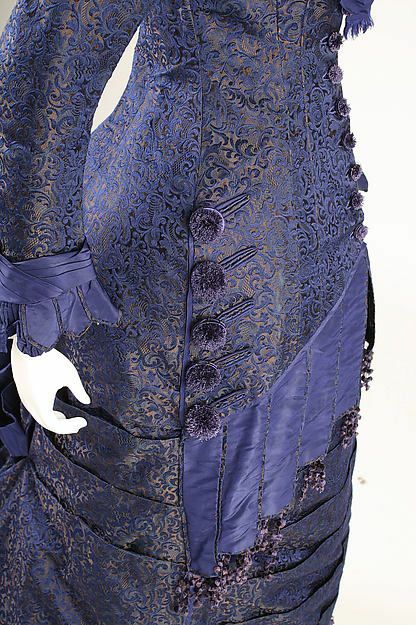 While not as daunting as the above example, I love the bling these buttons add this this evening gown from the 1900’s. 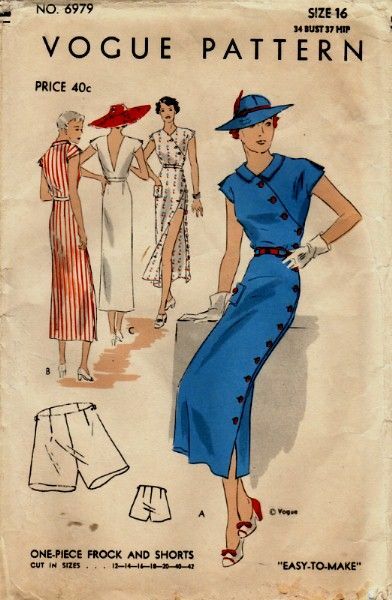 This pattern for a 1930’s dress, shows the appeal of buttons and angles. I love every single thing about this 1950’s dress!! Every single piece!!! 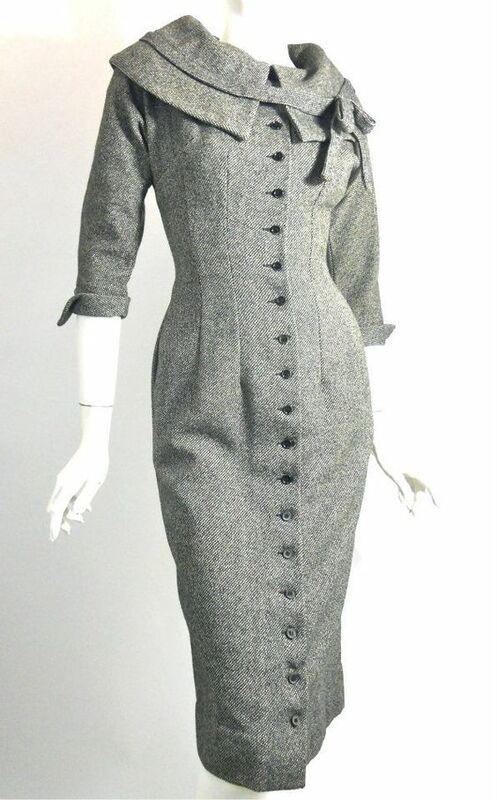 This 1950’s wrap gets an extra helping of fun from the unique placement of buttons! So whether you are a buttonhole master, or, like me, working your way to apprenticeship, I hope you appreciate the appeal they can offer! I’m so happy to hear that you’ve gotten into a good groove with button holes — when I saw the title of your post, I feared the worst! I have a garment that I made in early June — a sheer shirt dress in a yummy Monet-like patterned silk. It needs buttonholes. I got to the FIRST STITCH of the first buttonhole, got a knot in the my thread, and threw it in the corner. It lives there still. I still haven’t found the strength to finish! I feel your stress! I too struggle with buttons holes and zippers. I love button up shirt dresses, but feel like it takes forever to add the button holes and buttons. Plus my button holes are often too small. I’m getting better as zippers as I do them more often, so now I’m thinking of completing projects that have faux buttons for details and instead have a concealed zipper on the side. 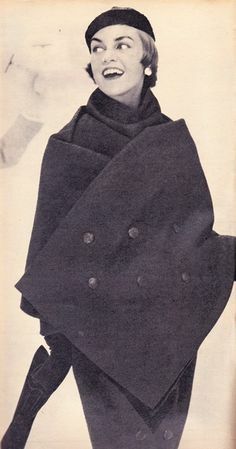 I love vintage buttons and the way they accent a project. Having faux buttonholes is a fantastic idea!!! Love it! !